Following a 26th-place finish overall in the IIHF Ice Hockey World Championship program – the highest position for a decade – Estonia steps up its efforts for a brighter future by honing neighborly ties while tending its grassroots. A fourth spot at the 2017 IIHF Ice Hockey World Championship Division I Group B in Belfast and positive displays from their respective U18 and U20 national teams capped off a fine 2016/17 season for Estonian ice hockey. With 2018 marking the 100th anniversary of Estonia first winning independence as a nation state, the Estonian Ice Hockey Association now aims at building on their improving results ahead of a landmark season. “At our association we have two goals: spreading the popularity of the game and our national teams to give play as good as possible and be an aspiration for our young players to want to represent their country,” said Rauno Parras, President of the Estonian Ice Hockey Association. Parras, a former player who stepped into his current role in September 2014, has since tried to re-vitalize the game and stir up interest in a Baltic nation surrounded by neighbors competing at the highest level. 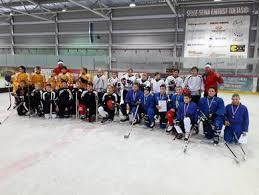 One such recent initiative saw the Kontinental Hockey League temporarily roll into Estonia’s capital Tallinn. At the end of last year, Latvia’s Dynamo Riga headed north to relocate two of their KHL matches inside the new Tondiraba Ice Hall. With fans flocking to get a glimpse of top-level hockey on their home patch, there are now hopes that this could be turned into a regular event. In the wake of this success, the Estonian Ice Hockey Association has teamed up with its counterparts in Latvia and Lithuania to announce the creation of a Baltic Challenge Cup tournament. Three tournaments on senior level have been pencilled in to be played during the upcoming season in a concept which for years has been in place for a number of other team sports across the Baltics. With the first Baltic Challenge Cup set to take place in Tallinn 25-27 August, it will also include the curious addition of Sweden’s Hammarby. Playing in Sweden’s third tier, the Stockholm-based team will travel across the Baltic Sea to lock horns with Estonia, Lithuania and a Latvian team with players composed from the top Latvian league in Tondiraba Ice Hall. 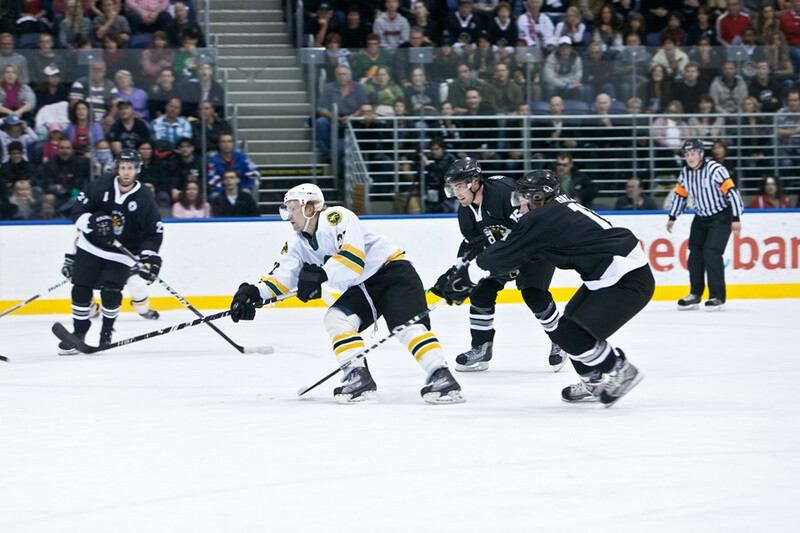 This move comes in the wake of a Swedish-based consortium being announced as the Baltic Challenge Cup’s main sponsor with an aim to further pursue Swedish interests in hockey development in the Baltics. But while neighbours in the south and west are looking to develop closer ties with Estonia at a senior level, it is across the Gulf of Finland where the crucial stage of Estonian player development is gathering pace. With Finland’s capital Helsinki only 80 kilometers away, frantic ferry crossings have been the norm for years with Estonian youngsters playing against Finnish opposition in growing numbers. Last season saw three Tallinn-based clubs – HC Panter, HC Vipers and HK Tornaado – altogether field an impressive eleven different teams in the Finnish junior set-up involving players born between 2000 to 2008. “During the last season we also for the first time started to play matches further afield from the Helsinki region with a team of older youngsters,” said Parras. “The cooperation with Finland is very important for us. Our kids get to play against players the same age and on a competitive level. When our most promising players then seek an even higher level, we will be able to move them on to other clubs across Finland to continue their development,” Parras continued. Estonia’s poster boy in hockey, 23-year-old Robert Rooba of JYP Jyvaskyla, is perhaps the best-known example of a player who began his ascent with an Estonian junior team in Finland and has since carved out a career over there. Behind Rooba an ever-growing number of compatriots have since gone down that same well-trodden path with Finland’s impact being very visible at the Estonian national team that next season will be coached by Spiros Anastasiadis, who will double up coaching various Estonian national teams and his work with the University of Lethbridge team in Canada. During last season the senior team competing in Belfast fielded half a dozen players plying their trade in Finland. The numbers were even higher at junior level. Estonia’s U20 had nine Finnish-based players on their roster, while there were eight playing in Finland on the U18 team that finished a fine second in the U18 World Championship Division II Group A played in Gangneung at Korea’s facilities for the upcoming Olympics. While players venturing abroad in greater numbers will raise the prowess of its national team, there are still a number of challenges facing its domestic game. “In Estonia we have nine ice hockey clubs but the ones in Tallinn and Narva are in this respect far ahead of the others, so in the Estonian championship we don’t have a lot of players and the level is very shifting,” said Parras of a country with a population of just 1.3 million. In an attempt to try to capture the interest of a new generation, the Estonian Ice Hockey Association has looked into the rear-view mirror and re-launched local school tournaments targeting kids between 6-10 years. “Kultlitter”, or Golden Puck in English, was previously played until 1991 when Estonia was part of the Soviet Union with Parras himself having had fine memories from taking part in the tournament as a youngster. With the Estonian Ice Hockey Association providing all the necessary equipment, games are played for 20 minutes across the third of the ice surface. Played across Estonia last season, valuable ground was broken in the southern part of the country, with one of the tournaments held in the newly covered ice arena in Viljanti in an initiative set to continue to grow come next season. With plenty of positive initiatives in place, Parras and his colleagues are now getting ready to roll up their sleeves to continue work towards a more prosperous future of the Estonian game where Finland is set to continue playing a vital part. “My wish is that we one day will have all our youngest teams playing in own leagues in Estonia, while our three oldest age groups at junior level would form kind of national teams and could play in Finland,” said Parras, who hopes this could also help even further strengthen the national teams but also benefit the domestic Estonian championship. “If each season around 20 players who played in Finnish junior leagues would move back to Estonia, play either in our domestic league or further afield if they are good enough, then this would give us enough players to select from for our national team and move us upwards because that is the direction we want to head,” said Parras. Stretching from Europe to Asia and employing some of the top players in the world, the KHL is a league you should know a little about. You can’t be an NHL fan anymore without knowing that the KHL exists. But you sure can get by knowing nothing much about it. Rumours, myths and stereotypes persist, and many fans, even fans of teams like the Leafs with multiple former KHL players, are not sure what the league is all about. It’s in Russia, right? And the names on the jerseys are all in Cyrillic, and no one speaks English or ever gets paid. In Soviet Russia joke makes you. Right? Well, no. Let’s tackle those persistent myths first. 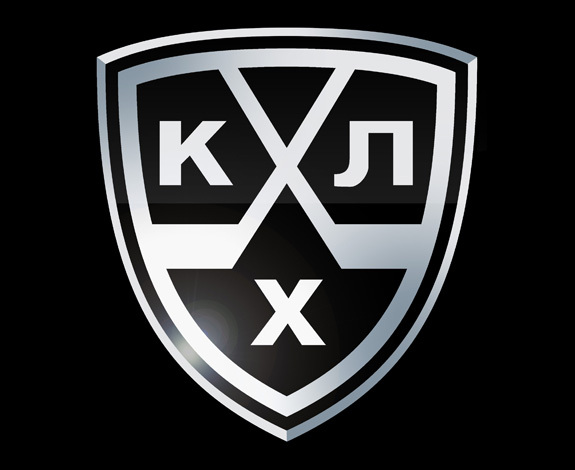 The KHL, short for Kontinental Hockey League, is mostly Russian, but it has teams in seven countries and offers up its website in Russian, English and Chinese. Because there are teams all over the non-Russian speaking parts of Europe and now in China, and because the games are televised widely, the names on the jerseys have always been in Latin script. They generally use a different transliteration for the Russian names to what the NHL uses. That doesn’t make one “right” and one “wrong”, but it does lead to confusion because the English-language twitter account and website don’t always use the same forms. Nikita Zaitsev was Zaytsev on his jersey, but not on the website. Vadim Shipachyov is about to become Vadim Shipachev. The rumours of money problems in the KHL are partly true, and partly exaggerated. There is a plan in place now to deal with the issue, and it’s complicated, but likely will succeed in stabilizing a league that expanded rapidly and then faced a catastrophic drop in the value of the ruble that plunged even some very well run teams into chaos. The KHL is not about to collapse as many Canadian and American media like to report every summer as the league deals with delinquent teams. The fans gleefully imagining strip mining the league and “getting all those good players” while ignoring the rest as irrelevant aren’t going to get their wish. The Soviet days are long past, and while many remnants of the old Soviet league that formed the genesis of the KHL linger on, mostly in team names, the league is a collection of individual businesses, just like the NHL. Some teams are very, very wealthy, and some are not, just like the NHL. The league stretches over a huge portion of the Earth, and travel times are onerous in some cities. Scroll down to the interactive KHL Geography map and see the spread of teams from Slovan in Brataslava, Slovakia in the west to, not Kunlun Red Star in Beijing, like you might have expected, but Amur in Khabarovsk, Russia. That’s the scope of the league. That’s a lot of teams. It’s too many, and eventually the league realized they had grown to large. They cut a few this summer, teams that were underperforming in attendance or losing too much money. The plan for the future is to cut two or three teams per summer for the next few years. This is supposed to be decided primarily on attendance, but other factors such as financing will be taken into account. At the same time new teams will be added. The expectation is that these teams will be in China or Europe. 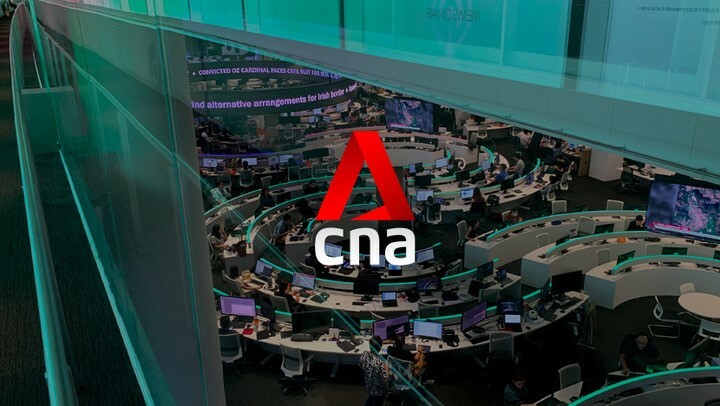 Along with this contraction and expansion to better markets, a salary cap mechanism with some teeth in it will be brought in, with the goal to distribute the pay to the players in a better way. This post has a great deal of detail on the situation and expands on how the payment system will be altered, and how contraction will occur. Ultimately, the goal is to stabilize at 24 teams that are successful. You say Dinamo. I say Dynamo. (Actually, it’s Динамо.) Are we calling this whole thing off or not? What’s with all the Dynamo teams anyway? Wikipedia says that in 1923, the Soviet Union formed the Dynamo Sports Club societies to form part of the physical education system of the nation. The idea was exported to many Soviet client states in Eastern Europe and the name has remained on many surviving clubs all over Europe. The KHL has three: Riga, Minsk and Moscow, and while the clubs aren’t related now, or state owned, they share a ideological past. The other main sponsor of sports clubs and teams in the Soviet Union was the army, made famous by the Red Army team in the seventies. That team is now CSKA. SKA is also a military team. In industrial areas, clubs were often sponsored by the local state-run industry. So you get Traktor, Avtobomilist, Lada, Metallurg and Lokomotiv all named after the local product or industry. The KHL has also ended up with two teams named for the snow leopard. Both Ak Bars Kazan and Barys Astana take their names from the local word for that central Asian animal. The KHL tries to have teams in countries outside Russia keep their national character. Jokerit’s players are mostly Finns, Dinamo Riga is mostly Latvian, etc. This is less easy with Kunlun Red Star, and the makeup of that team is a work in progress. But the absorption of European teams from existing leagues, like Jokerit, and the overall pace of expansion has led to large numbers of foreign players on the Russian-based teams. Once a rarity, Canadians and Americans are becoming more prominent in the league. Elite Prospects lists 15 countries of origin for players signed to the KHL for the coming season. Most, 632, are Russian, but there are 47 Canadians, 27 Czechs, 24 Swedes and 16 Americans. From countries with teams in the league, there are 42 Finns, 32 Belarusians, 34 Kazakhs and 30 Latvians. For a lot of teams, English is widely spoken as a second language, and the more that is true, the more players from countries like Canada and Sweden will go to the KHL to play. Mike Keenan might be the most famous non-Russian coach in the KHL to NHL fans, but he’s not the only one. 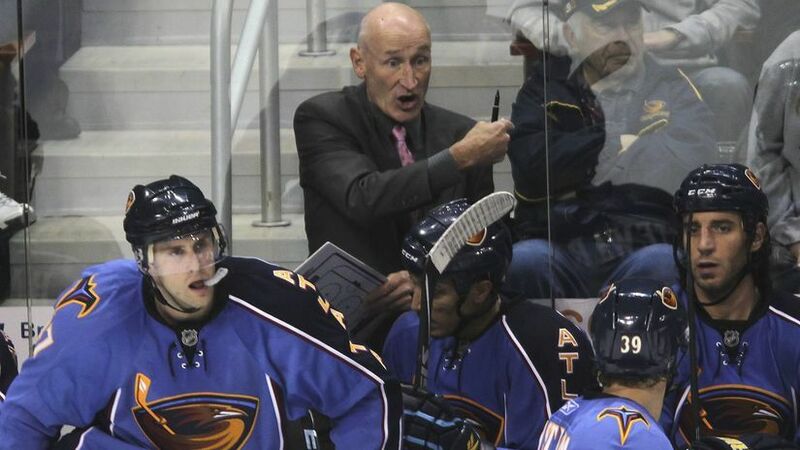 For a full rundown on who is behind the bench on KHL teams, Patrick Conway has a list of them at his blog sorted by division. The KHL season begins in the summer. Pre-season games begin in July, with regular season action starting in August. The playoffs are in the spring, with the Gagarin Cup handed out a couple of weeks before the IIHF World Championships in May. The KHL is taking an Olympic break from late January through most of February this year, making that league an attractive destination this year for players hoping to be named to their national teams. They have cut the schedule to 56 games to help make that happen. The playoffs begin a few days after the return from the break. The playoff format is very familiar to NHL fans. The top eight teams in each conference playoff until a champion remains, and then they play for the cup. It’s a very attractive cup. The VHL is the farm team league, and is somewhat analogous to the AHL. The KHL is made up of teams, many of which are older than the league itself, that are part of a European-style sports club system. The club may have a soccer team, a hockey team, a bandy team and any number of other divisions, including women’s teams, junior teams and a VHL team. The VHL is run by the Russian Hockey Federation, not the KHL. As the KHL has contracted, and will continue to do so, the VHL is absorbing some of those teams, while its own unprofitable teams are either dropped down a division or dissolved. The dissolution this year of Dynamo Moscow’s VHL club, after winning the championship last year, was due to internal money problems at that club after a change of ownership. Eventually, the KHL team restructured to the point they can continue. The MHL is the junior or U20 league, and most of the teams in the league are feeder teams for the KHL system. Unlike in North America, the junior system in Europe keeps a young player within a club from a young age to the top team, if she’s lucky. Many top players move up at around 16 to better teams. Yegor Korshkov moved from Kazakhstan, where his father played, to Yaroslavl, and has played in the Lokomotiv system ever since. Everyone asks this: What’s the playing style like and how is it different to the NHL. This along with where does the league fit with other leagues is a very hard question to answer, and is controversial. Some North American fans sneer in angry disdain at the idea that the KHL is better than the AHL. First, imagine answering this question the other way around. How good is the NHL? What do they play like? Are you going to answer based on the Pittsburgh Penguins, the Colorado Avalanche, the New Jersey Devils or the Chicago Blackhawks? Is the NHL fast or slow, offensive or defensive, good or bad? It is undisputed by anyone but the biggest homer fan of another league that the KHL is the best league in Europe. But the worst teams in the KHL might well be nowhere near able to compete in the Swiss league. The best teams, the very few elite top playoff teams that have money and top players are, in my opinion, far and away better than any AHL team. The KHL is, in general, a faster, more shooting and passing based game than you see in North America. For players coming over to the NHL, some things are very different, and I’ll quote myself from last summer’s Top 25 Under 25 comments on Nikita Zaitsev. Now, my main concern about him: that easy glide up the neutral zone with the puck. He’s a good skater, handles the puck well, but he’s always done this on wide ice, with opposing teams who tend to fall back more and concede the zone if not the o-zone entry itself. That is not how NHL teams play. Well, the Stars do, but imagine hitting the New Jersey Devils neutral zone meat grinder when you think you’re just out for a skate? Or the Kings or the Red Wings or it just goes on and on. When CSKA failed against Magnitka, it was because Magnitka pressured early in the neutral zone and stripped the puck off of them. This is systems stuff, and I am not saying that he cannot play how Babcock wants him to. I’m saying I don’t know because CSKA never did. With very few exceptions, the neutral zone is easier to get through in the KHL than it is in the NHL. This is also an issue with offensively-high-flying AHL teams when they hit one of the elite level teams that defend well. So it’s partly a question of skills gap in a league that’s too large, and also a style of play that evolved on bigger ice. One other thing I have noted over the years is that players with NHL experience shoot more. Whether this is a style difference or a skills-gap is, again, hard to say, but it looks like the general KHL style is to pass the puck until a higher-percentage play opens up. Smaller players can have huge success in the KHL, particularly small defencemen who aren’t quite good enough for the NHL. The idea that there is no physical play in the KHL is wrong, however, board battles and corner work are much less important than in North American hockey. Older players also succeed in the KHL. Last season a clutch of 35 year olds were leading the league in most categories outside of goaltending. The length of the season and the number of breaks and days off might explain that. 60 games with several week-long breaks is a lot easier than an NHL grind. If you want a look at the KHL without navigating their site to pay for the games, although they are inexpensive, watch the Olympics this year. You’ll see KHL players on every top team, and you might be very surprised at how much fun they are to watch. Just, you know, be prepared for Russia to win it all. 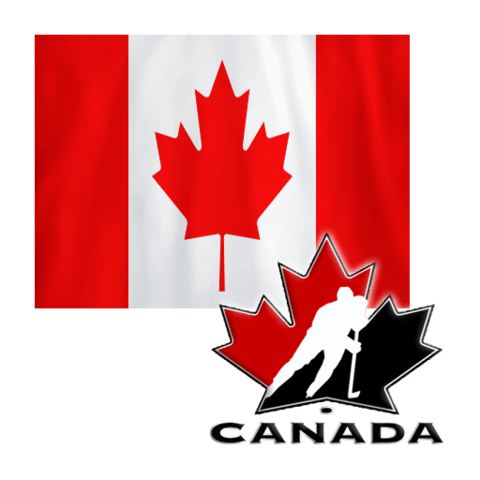 Team Canada has won a bronze in their first tournament of the Olympic season, defeating Metallurg Magnitogorsk by a score of 3-1 on Wednesday evening at the Sochi Hockey Open. A power play opportunity at the halfway point in the first period allowed Canada to take the first lead. At 11:26, Mason Raymond tapped in a goal short side on Vasily Koshechkin after some great passes between Gilbert Brule and Andrew Ebbett. It was a big goal for Raymond, who only played four professional games last year after starting the season with the Anaheim Ducks. Raymond did, however, represent Canada at the Spengler Cup, potting six points in five games to help Canada win their second straight tournament. Canada, however, wouldn’t hold on the lead for long. Defenseman Sergej Tereshchenko, who isn’t really known for offensive exploits, made it 1-1 after taking a Denis Denisov pass from the point and wiring it past Justin Peters, tying the game up at one apiece just 6:55 into the second period. Raymond was often criticized for his inconsistent play in the NHL, bumping around multiple teams before landing with SC Bern for the upcoming season. But his second goal of the night was not to be missed after picking the puck up behind the net on his blade and sliding it top corner while still behind the goal line in a lacrosse-style move. Justin Azevedo would score an empty netter, but it would be Raymond’s goal that would result in a bronze medal for the two-time defending Olympic champions. Canada will bring a mostly-different roster to the Nikolai Puchkov Tournament, which begins in Russia next week. It’s one of many tournaments Canada will take part in as the team looks to prepare to an Olympic tournament with no NHLers. 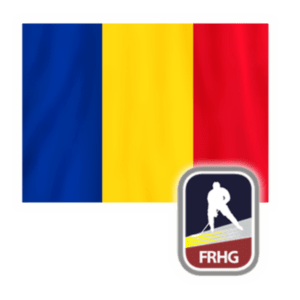 Seven foreign professional hockey players have received the Romanian citizenship on Monday, July 17, according to a statement from the Sports Ministry. They took the oath during a ceremony organized by the Ministry and the National Authority for Citizenship. Anton Butochnov and Vitali Krychenko from Ukraine, Lajos Nyerges from Hungary, and Patrik Polc from Slovakia. All of them will be included in the national ice hockey team and will represent Romania in international sports competitions. Since moving to New Zealand in March, 10-year-old Callum Whiteway has set himself one simple goal – to make the Ice Blacks, New Zealand’s national ice hockey team. It might be some way off due to his age, but he’s heading in the right direction after earning a spot in the Canterbury under-14 team, which is playing in the national championships in Queenstown this weekend. Callum said the desire to represent New Zealand was a natural one. He grew up in Canada and was signed up by his parents to take part in skating because that was the thing to do in Rosseau, Ontario and all the kids at Humphrey Public School were doing it. Callum then gave ice hockey a crack and it’s gone from there. Since he started playing nearly three years ago, Callum has won numerous titles with his team. The Gleniti School pupil is excited at the challenge in front of him, with the little Red Devils. With limited options for ice hockey in South Canterbury, Callum spends numerous hours with his family heading to Queenstown, Christchurch, Dunedin and other places for training camps and competitions, but he wouldn’t have it any other way. “I’ve made some really good friends from it. He’s one of the youngest players in his Canterbury team and is hoping to put in a good showing at the tournament, so he can put his name in the hat for an appearance for New Zealand’s junior side in years to come. He hopes to one day have the privilege of representing NZ in a Winter Olympics but also wants to head to Japan for the International Ice Hockey Federation Friendship games as part of a New Zealand team. Playing in a defensive role has helped him become good mates with the goalkeepers. “I don’t know what it is but he gets on really well with both the goalies,” his mum, Julie Whiteway, said. Since arriving in New Zealand, Callum has also taken up field hockey, albeit with its challenges. 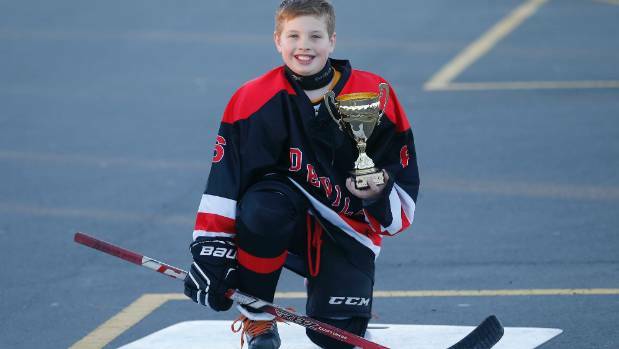 He has had some of his friends want to try his ice hockey gear on when around at his house and he’s hoping some more people from Timaru give the sport a go, while his sister has become ‘his goalie’ so he can practise shooting at home. Julie is incredibly proud of what her son has achieved since taking to ice hockey. Joey Anderson (Roseville, Minn.) netted a hat trick and Adam Fox (Jericho, N.Y.) registered five points as the U.S topped Canada, 7-5, in the final game of the 2017 World Junior Summer Showcase. Anderson opened the scoring for the U.S. just 5:33 into the contest. The play started when Fox collected the puck at the blue line and sent a cross-ice pass to Patrick Harper (Jericho, N.Y.) who curled towards the slot and fired a pass that Anderson redirected past Canada’s goaltender Carter Hart. Jordan Kyrou evened the score at the 12:43 mark by firing a slap shot from the top of the left circle past Joseph Woll (St. Louis, Mo.). Less than four minutes later, Givani Smith gave Canada a 2-1 advantage when his shot from the blue line deflected off a skate and floated over Woll into the top right corner. The U.S. were able to respond just 43 seconds later, though, when Fox took a pass from Casey Mittelstadt (Eden Prairie, Minn.) and tucked a wrist shot over Hart’s right shoulder to knot the score, 2-2. Anderson regained the U.S. lead 1:23 into the middle stanza with his second power-play goal of the game by batting home a rebound off an initial shot from Ryan Poehling (Lakeville, Minn.). At 9:14, Kailer Yamamoto (Spokane, Wash.) made it 4-2 by taking a pass from Fox and skating around a Canadian defender before tucking a backhanded effort low blocker side. Pierre-Luc Dubois cut the U.S. lead to one just 3:31 later by finding a loose puck near the crease and lifting it over Woll’s left pad. Harper regained a two-goal U.S. lead just 48 seconds into the final frame when he took a pass from Fox, split two Canadian defenders and fired a wrist shot high glove side past Canada’s goaltender Dylan Wells. Poehling finished a feed from Harper on the power-play 6:42 into the final period before Sam Steel one-timed a shot past Woll just over five minutes later to make it 6-4. Jonah Gadjovich tallied for Canada less than two minutes later to bring the score to 6-5. Anderson completed the hat trick with an empty-net goal in the final minute to account for the 7-5 final. Woll stopped 16 shots to earn the victory for the U.S.
Sweden defenseman Rasmus Dahlin only played twice and fought a fever that sidelined him for three games, but left the World Junior Summer Showcase in a positive mood. Dahlin finally got back on the ice against Finland at USA Hockey Arena on Saturday and had four shots on goal in a 6-5 overtime win. Dahlin, expected to be one of the top picks of the 2018 NHL Draft, didn’t need to do much to show he deserves a spot on Sweden’s roster for the 2018 IIHF World Junior Championship. But in two games at the Summer Showcase he displayed his superior skating, poise and decision making. He had an assist in a 4-3 win against USA Blue on Saturday. He also made a game-saving dive into the goal to block a shot. Dahlin (6-foot-2, 181 pounds) also stood up to targeted physical play from bigger opposing forwards. Dahlin, who turned 17 on April 13, made his Swedish Hockey League debut last season with Frolunda and had three points (one goal, two assists) in 26 regular-season games, and five points (three goals, two assists) in 14 playoff games. He also had two points (one goal, one assist) for Sweden as its youngest player at the 2017 WJC, and it’s expected that he’ll have a bigger role at the 2018 tournament. NHL scouts were impressed and will keep a close eye on him this season. Now Dahlin’s goal is to have a larger role with Frolunda and help Sweden at the 2018 WJC improve from its fourth-place finish in 2017. And do it while the draft year spotlight is focused on him. But he said he’s not worried about the extra attention. His focus is spending time in the gym to get stronger, and working on all areas of his game on the ice, especially his shot.